Telsey Advisory Group LLC says it has upgraded its forecast for Everi Holdings Inc, saying that earnings before interest, taxation, depreciation and amortisation (EBITDA) will reach US$229.88 million this year on revenue of US$455.47 million. The company will likely post EBITDA of US$249.15 million next year on revenue of US$479.58 million, stated Telsey. The stockbroker’s forecasts are included in a note to investors on Tuesday, written in the light of Everi’s results for the second quarter of this year. 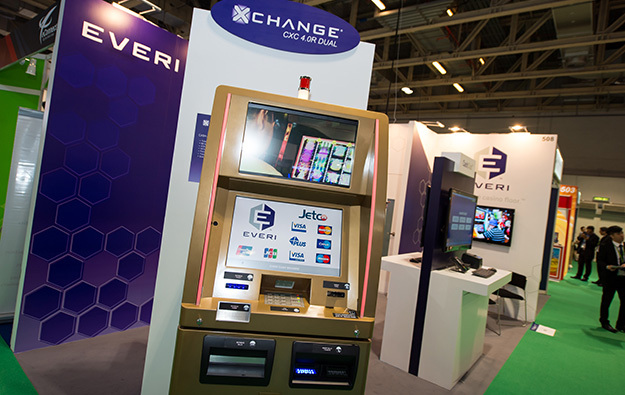 Everi, a U.S. supplier of cash handling technology and electronic game content for the casino industry, reported last week second-quarter net profit of US$1.5 million on revenue of US$118.7 million, in contrast to the net loss of US$19.1 million it made a year earlier on revenue of US$102.1 million. The company reported second-quarter EBITDA of US$59.5 million – the most in any quarter yet. Everi said its second-quarter growth was driven by continued improvement in all its business operations. Last week’s statement quoted Everi president and chief executive Michael Rumbolz, who said “customer demand for products across the spectrum of our games and financial technology solutions portfolio is driving growth”. Everi also announced it intended to operate in Financial Technology Solutions, otherwise known as Fintech. The company says “this reference more accurately reflects the focus of the business segment on delivering innovative and integrated solutions”.